Location: Craig Airport, 855 St. Johns Bluff Road N.
JAXEX is soaring to new heights with its signature event showcasing various elements in transportation from the street to the sky. Wings ‘n’ Wheels is held from 10am to 4pm April 23 at Craig Airport. The event features static aircraft displays, classic car show, live entertainment, a kid’s zone, plane rides, and airport tours. Aircraft displays include everything from the larger business jets to turbo props and vintage aircraft. Admission and parking are free. JAXEX Manager Tiffany Gillem says the open house event is staged every couple of years to promote the use and value of the airport to the community as well as provide opportunities for youth to get involved in general aviation. Representatives will be on hand from several area flight schools, including Holiday Aviation ,Sterling Flight Training and Atlantic Aviation, who will provide discovery flights to downtown and back. Cost is $35 for a 30-minute ride. The flight offers a panoramic view of the airport’s 1,342 acres, including two paved runways and its own air traffic control tower. “It’s an opportunity for the community to really get to know the airport, the businesses that make up Jax Ex, and the service we provide. It’s a family-fun atmosphere working with several of our tenants and community partners to put on the event,” says Gillem. “There will be airport tours to get some behind-the-scenes perspective and viewing the facilities in a way that they would not normally see.” Gillem says Jax Ex has partnered with the local chapter of the Experimental Aircraft Association (EAA) to put together the classic car show. The Jacksonville Fire Department will sponsor the kid’s zone and will feature fire safety tips, crash trucks on display, activities, and a gaming truck for older kids. “There is something for everybody here,” she says. In 2012, JAXEX commemorated the 10th year of the Jacksonville Aviation Authority (JAA) operating as its own authority. The inaugural Wings ‘n’ Wheels event was co-hosted in 2010 by JAXEX and Chapter 193 of the EAA. That event drew approximately 4,000 people. 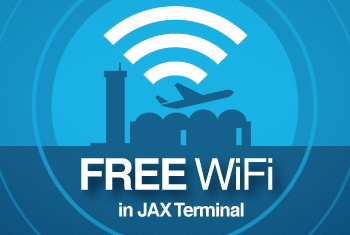 JAXEX was originally named after Jacksonville native James Craig, a World War II naval aviator who lost his life aboard the USS Pennsylvania during the Japanese attack on Pearl Harbor. The airport previously served as a joint civil and military airport that housed an Army Aviation Support facility and National Guard helicopter units before they were relocated to Cecil Field. The first U.S. Navy Blue Angels air show was staged at JAXEX on June 15, 1946. 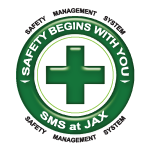 Today, JAXEX handles approximately 400-500 aircraft operations daily and maintains over 300 single- and multi-engine personal aircraft and small commuter planes. For more information about Wings ‘n’ Wheels, visit www.wingsnwheels2016.com.